The residential lifts prices are a key element in a reasonable reading of an installation quote of an elevator for the vertical transportation of things and people on floors. An element that we will be happy to show in a clear and transparent form, sharing with you all there is to know about the system assessment. We provide to all our interested clients quotation easy to interpret and complete with all the costs for residential lifts that are going to sustain during the order of the lift: residential lifts prices with no hidden charges, free and without obligation, we will be happy to submit at the end of the first site inspection to be carried out in the building in which the elevator or goods lifts is going to be installed. In the quotation there will be noted in a clear and unambiguous way all the necessaries works (drain, unloading, labor, installation, delivery), and every detail of the individual items that will make up the final price. Our consultants are always available to explain the detail of each component, the cost required for the preparation of your new vertical transportation system. Our residential lifts are unique. And even our prices are. Therefore, until understand very well every single need, in a specific environment where the lift will be installed, our consultants will not be able to formulate a useful quotation to complete the assessment of our intervention. 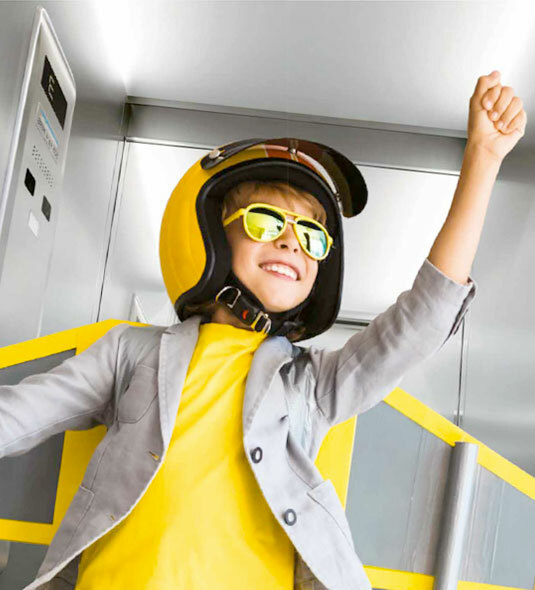 It is precisely for the reasons of “uniqueness” of each elevator that always takes a free first inspection at the place where the elevator or the goods lifts will be installed. An inspection that will allow our technicians to be able to share with the client the possibility to adopt always the best solutions, responding to specific requests and, at the same time, ensuring every effort to obtaining the best mix of quality and efficiency. Remember, that each of our list is custom and personalized, and that the residential lifts prices will depend not only on the size of the system, but also its technical and design features: many possibilities, for all budgets. We are available to our clients to try to satisfy every request. Therefore, we are also willing to consider the rescheduling of payment of our interventions, and share flexible solutions regarding the settlement of costs. Our consultants are also available to know more about tax cuts and the grants obtained for the installation of elevators and home lifts; benefiting all those clients who wish to know more about the benefits that the current legislation has established in favor of those are considering carrying out an installation of a vertical transportation system of people and goods. In order to have more information on about residential lifts prices, we would ask you to contact us: we’ll be happy to offer any detail about our possible quotations options and share all the possible solutions, regarding the installation of a new elevator or goods lifts, or replacement of the existing one.